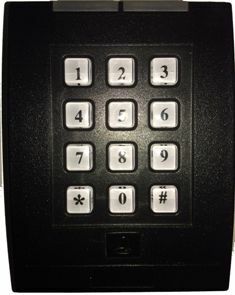 Wired Commercial Keypad | Readers, Pin Pads & Exit Button | iACCPCR | | iLink Professionals, Inc. The iACCPCR is a universal touch panel wired entry keypad provides security efficiently and features backlight keyboard for easier operation at night. This product can be used to remotely open a door, gate, or even garage door after entering the appropriate code.